Sol Auerbach of Long Island and William Levin of Brooklyn were among the many Jews in the crowd. “It was thrilling,” Auerbach said. Levin said the artist seemed relaxed and showed no signs of nervousness. Another fan, Chani from Brooklyn, said she felt nostalgia seeing the performer whose album “This is Babylon” (Shemspeed) was released in 2008. 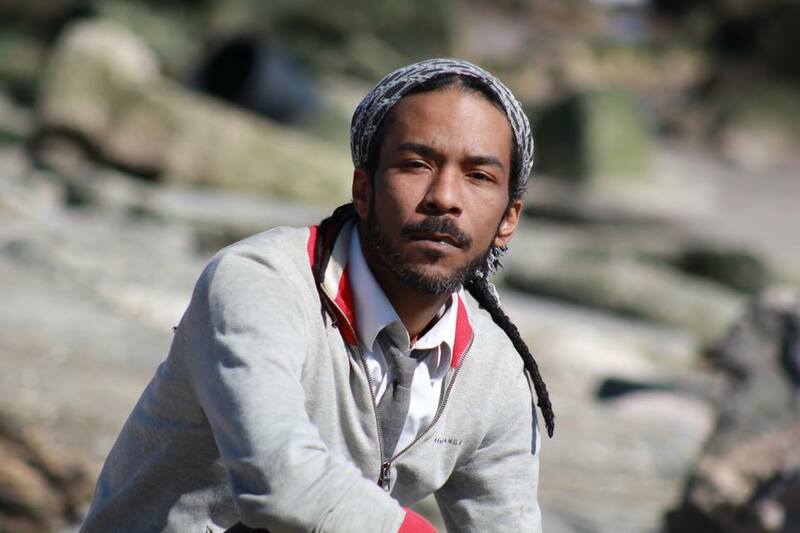 Y-Love, 41, is originally from Baltimore and now lives in Bushwick, Brooklyn. He converted to Judaism 20 years ago. After a break from music, he is now working on his new album which he said will likely be called, fittingly, “Return.” It will explore the many overlapping components of his identity as a black, Jewish, gay hip-hop artist. Once chasidic, Y-Love now considers himself to be Off The Derech (a colloquial term used to describe members who have left the ultra-orthodox community). He said he doesn’t eat chametz on Passover and still fasts on Yom Kippur. He said he is still extremely spiritual. After coming out as gay in 2012, Y-Love virtually disappeared from the Jewish music scene. He said he felt a lot of tension at the time. He was concerned coming out might jeopardize his music career, being that many of his shows had been in Orthodox settings. Now he said he has good relationships with Reform and Conservative Jewish groups and believes he will be booked by some Orthodox high schools. He even said he would perform in a Borough Park synagogue — if there was security. Asked about the recent outcry over a New York Yeshiva’s refusal to grant ordination to one of their students who is engaged to be married to another man, Y-Love said it was a shame. Y-Love said that in his junior year of high school in Baltimore, a man who heard there was a gay student in the area and fired a bullet from a sawed-off shotgun that, thankfully, “missed me by a mile.” It’s hard to forget something like that. On a constant journey of self-discovery and healing, Y-Love said he was relieved not to have become an overnight sensation like Matisyahu — the fame wouldn’t have served him well, he muses.